Google Inc. plans to begin selling a cellphone directly to consumers as soon as next year, people familiar with the matter said, escalating the Internet giant's assault on the traditional business model of the wireless industry. The phone, called Nexus One, was designed inside Google and will be sold, at least initially, without being subsidized by a wireless partner, these people said. It is the latest sign of the Internet giant's ever-broadening wireless ambitions as Google hunts for ways to expand its Internet services beyond computers. The move, details of which were first reported by The Wall Street Journal on its Web site Saturday, also marks a new front in its growing rivalry with Apple Inc.
As Internet usage has shifted to mobile phones, Google has repeatedly tried to break wireless carriers' tight grip on the services and devices they allow on their networks. It has been lobbying the government to open up cellular networks and unused TV airwaves to a broad group of devices. At the same time, Google has purchased and developed technologies that can replace existing communications services. One example is Google Voice, a call-routing service. Some analysts speculate that Google could eventually deliver very cheap or subsidized service to consumers on its own, in exchange for advertising. The company recently purchased a start-up called Gizmo5, whose service allows users to make Internet calls from mobile phones. 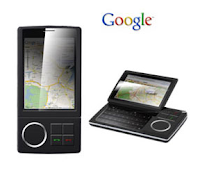 Rather than selling the Nexus One phone through a wireless carrier -- as the bulk of phones are sold in the U.S. today -- Google plans to sell the Nexus One itself online, people familiar with the matter said, although the company may seek wireless partnerships in the future. Users would have to buy their wireless service separately. The phone's pricing, along which countries Google initially will target for the device, couldn't be learned. While the move gives Google flexibility to distribute software services such as email and maps without playing by wireless carriers' rules, Google risks making new enemies among companies whose trust it has tried to win. A Google spokeswoman declined to comment on how the phone might be received. In a blog post Saturday, Google said it was testing a new device running Android with its employees to "experiment with new mobile features and capabilities." Google has spent the past year wooing hardware makers and wireless carriers to build phones running its Android mobile operating system, which it announced in 2007 and which went live in phones in 2008. As of October, nine Android devices had been announced with 32 carriers, including Verizon Wireless, Sprint Nextel Corp. and T-Mobile USA Inc., a unit of Deutsche Telekom AG. HTC Corp., Samsung Electronics Co., LG Electronics Inc. and Motorola Inc. have launched or announced mobile devices based on Android. Some of those companies are likely to be "ticked off" by Google building its own phone, said Charles Golvin, a wireless industry analyst with Forrester Research. Companies that haven't invested heavily in Android yet may think twice before doing so, he said. But he doesn't think it will cause larger companies like Motorola to back away. "There are also a lot of benefits to the Android platform that they are reaping anyway," he said, citing the fact it is free to license, provides access to Android developers and has Google's marketing clout. A Motorola spokesman declined to comment. Google's move comes as the market for high-end phones is expanding rapidly but growing increasingly competitive. For example, Dell Inc. has announced plans to offer phones in China and Brazil; people familiar with the matter say the computer maker also has plans to release an Android-based phone in the U.S.
Microsoft Corp., a provider of software for cellphones, has been increasing its focus on designing hardware that works with its mobile-phone software, as part of its collaboration with handset makers. But company executives have said repeatedly they have no plans to make a Microsoft mobile phone. Google has been considering developing a phone for years. In a 2008 interview, Google co-founder Sergey Brin said the company hadn't ruled out a phone but its focus was on getting as many partners to adopt its software as possible. But Google focused more on designing a phone in the past year, one person familiar with its efforts said, as the company battled to get some partners to accept its software. This summer Google complained to the Federal Communications Commission that Apple had not yet allowed its Google Voice service to run on the iPhone, for example. At the same time, software developers have dedicated less effort to Android than the iPhone, in part because of the latter's widespread popularity. Such applications, from games to collaboration services, are a big selling point for consumers. "We still haven't seen an Android phone that competes with the iPhone," said Sam Altman, chief executive of Loopt Inc., a mobile social-networking service. "Google could still miss the iPhone mark, but at least they have a chance of making a phone that everyone wants, which would then make it attractive for developers." An Apple spokeswoman declined to comment on competition from Google. The Nexus One has a touch screen, like the iPhone, according to people who have seen it, with a few buttons along the bottom. These people say the phone is being manufactured by HTC, which also built the first Android phone to hit the market, T-Mobile's G1 phone. Unlike other Android phones made by phone manufacturers today, Google designed virtually the entire software experience behind the phone, from the applications that run on it to the look and feel of each screen, they added. AT&T, which has exclusive rights to offer Apple's iPhone in the U.S., has tangled publicly with Google on regulatory issues and is the one U.S. carrier that doesn't yet offer an Android phone. An AT&T spokesman declined to comment. A Sprint spokeswoman said the carrier would be open to working with Google to make the business model work, but declined to comment further. Google's direct sales strategy bypasses how phones are usually sold in the U.S. wireless industry. Carriers typically sell phones that are locked, meaning they will only work on a certain network, and require a service contract. In return for a hand in developing and selling phones, carriers take on the bulk of marketing and often subsidize the cost of the phone to the customer. They recoup the subsidy over the life of a customer's contract. Whether Google plans to subsidize the phone -- which analysts cite as an important factor in whether it can go mainstream -- remains unclear. So does the process for how users may sign up for cellular service. Outside the U.S., consumers often have more freedom to buy phones and cellular service separately, making it easier for the Google phone to gain traction. Some U.S. carriers, such as AT&T, allow users to buy their phone service separately from handsets -- which typically feature a removable card containing subscriber information that can be moved among devices. Others, such as Verizon, will activate some phones consumers bring to them even if they don't sell them directly, analysts say. Some companies, such as Nokia Corp., have sold unlocked phones in the U.S., but the devices have so far gained little traction.